We are pleased to bring you this Matchcraft Kit which includes the products needed to complete the incredible model as illustrated. The enclosed step-by-step instructions will guide you through each stage of construction until you finally achieve the finished product. 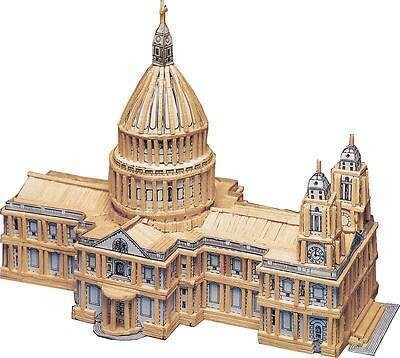 Hobby's Matchcraft ST PAUL'S CATHEDRAL matchstick kit. Kit contains: Matches Glue Pre-cut card shapes Instructions Safety Cutter Approximate length 25cm.